Fireactiv Shoulder Support With deep Heat Therapy. Fireactiv presents a new revolutionary range of lifestyle products that offer secure joint and muscle support combined with deep heat (activation) generating pads. No batteries, wires or microwaving required to generate the infinitely re-useable deep heat infrared therapy. Fireactiv heat penetrates up to 50 times deeper than other types of heat applications. The heat generated by fireactiv products penetrates up to 5cm into your muscles and bones and the heat is retained in the body for several hours after initial use. 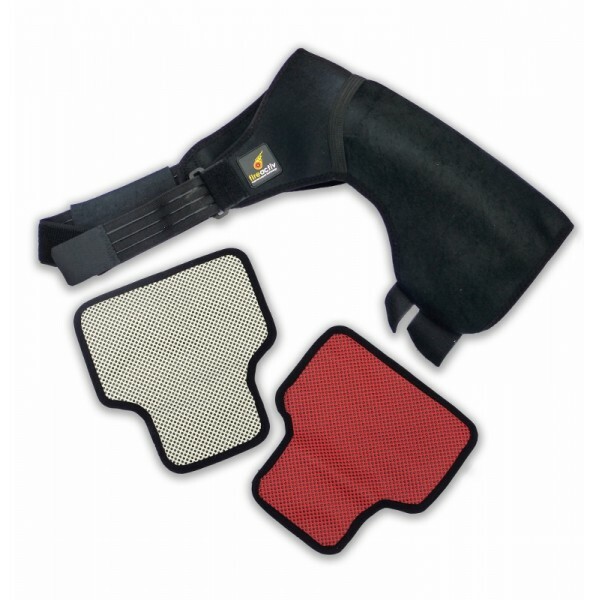 Fireactiv supports are supplied with two different heat (activation) pads: Red Pad - Deep and intense heat for pain relief and faster mobility / White Pad - Milder heat for sustained use. The Fireactiv® shoulder support with 2 stage deep heat therapy helps provide compression, support and ultra-deep heat relief to the shoulder joint complex without restricting movement. 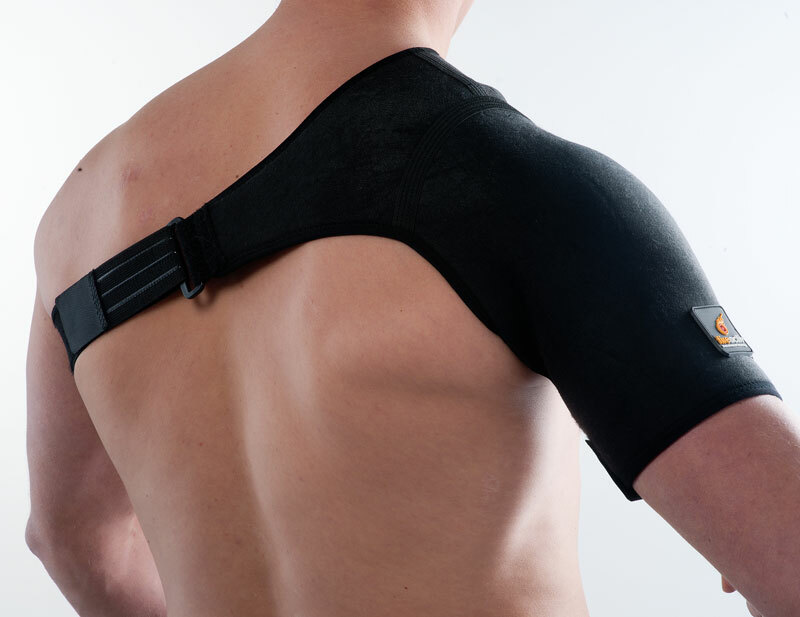 By stabilizing the joint capsule, the support helps reduce pain from tendon and ligamentous injury of the rotator cuff muscles whilst promoting healing through deep heat therapy. The support helps encourage correct alignment of the shoulder joint following dislocation or subluxation injuries and can prevent further over stretch or over use of muscles during rehabilitation. It is suitable for helping acute and chronic shoulder conditions as well as post surgery and recovery. Available for right or left side.